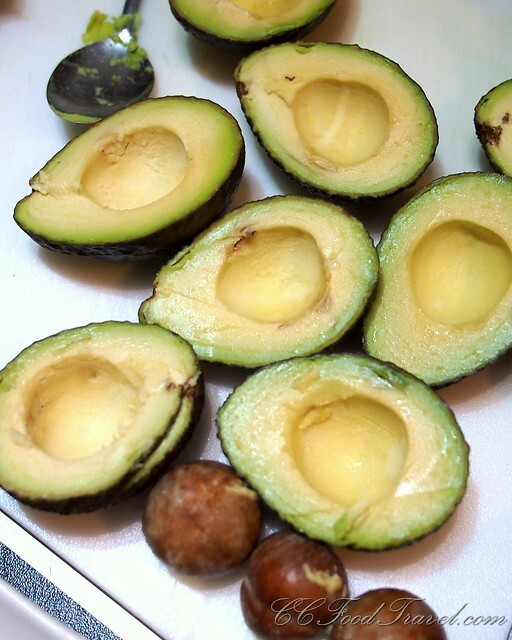 There is a huge misconception that one shouldn’t eat avocados because they’re high in fat. The latest facts actually show that avocados are rich in monounsaturated fat, the heart-healthy kind. Yet scientists are now more interested in the active compounds in avocados that might help prevent cancer. One recent study found that those compounds can inhibit the growth of prostate cancer cells in the laboratory. While conducting the study, these researchers found avocados are loaded with a variety of antioxidants, including familiar disease-fighting compounds such as lutein, beta-carotene, and vitamin E. So far, many recipes that involve Avocado are of the western persuasion. What about Asian cooking that employs this superfood instead? 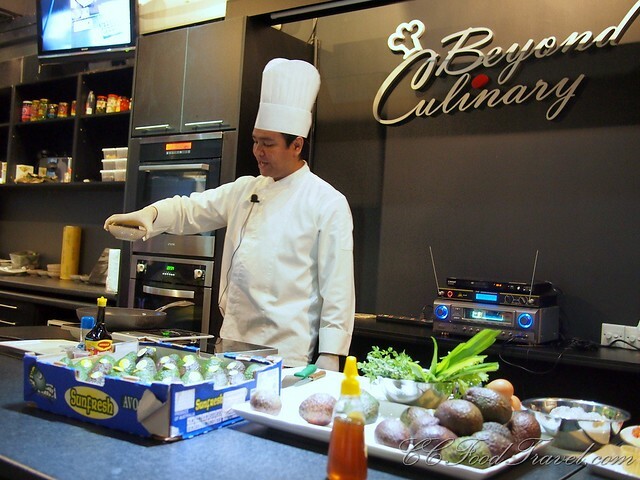 Which brings us to the reason why we attended the Australian Avocado Masterclass at Beyond Culinary Studio, Sunway Giza recently – to learn about how to substitute Avocado for other ingredients, into your everyday Asian style of cooking. These masterclasses are fun, interactive and an educational session for sharing ideas and knowledge on how Australian avocados can be incorporated into Asian and Chinese cuisine easily and deliciously for appetizer, main course and dessert. At this class you will hear the Chef explain about Australian avocados from source to plate imparting information on the history, its origin, types, how to order, storage and ripening and how to cut and prepare avocado. 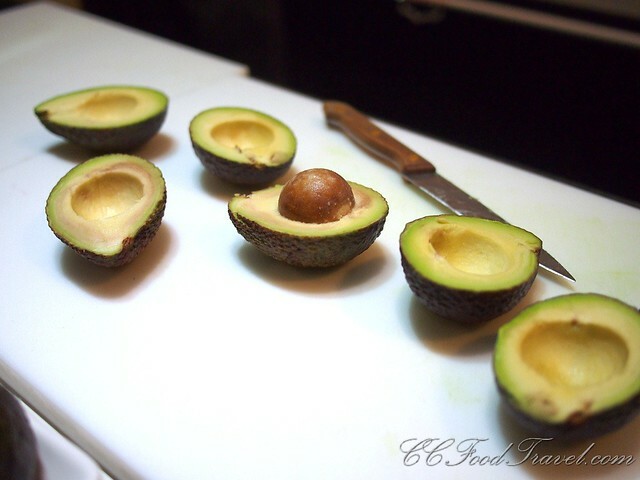 They will also provide tips on some of the techniques to handle and present avocado in new ideas and utilization. 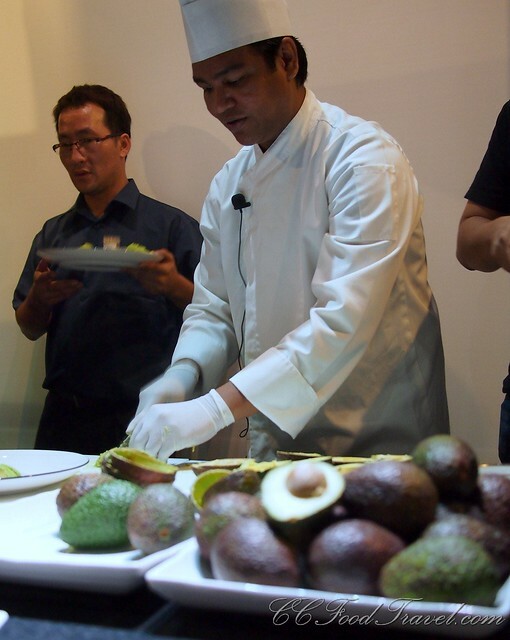 The best part about the class is that new recipes by the Chefs will be shared with the participants and there will be materials provided such as the avocado cookbook and leaflets available in English, Mandarin (HK) and Malay – they are specially produced for the chefs in Asia for reference and also for them to train their kitchen staff on how to handle and prepare avocado better. 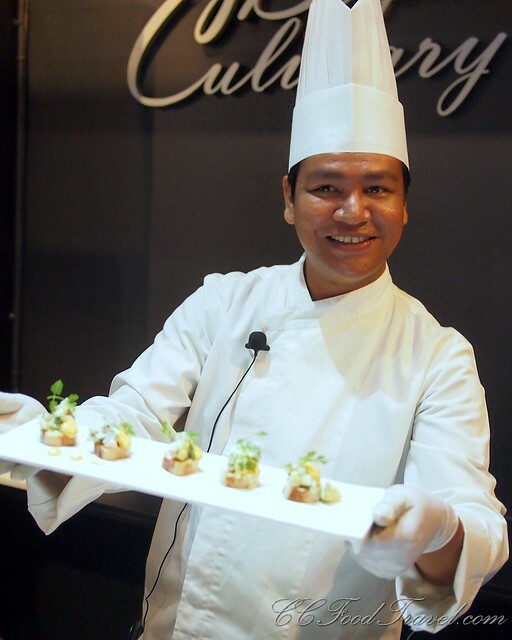 The masterclass on Asian cuisine and another session on beverage and dessert will be conducted by Star Chef Mohd Noor, in English and the avocado in Chinese cuisine will be conducted by Star Chef Lam Hock Hin, in Mandarin speaking session. we go through A LOT of avocado that day! 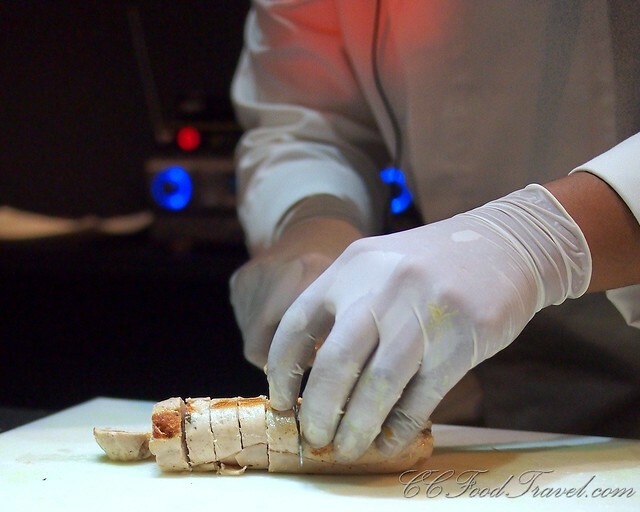 During the session, we actually got the opportunity to test avocados in various forms – both cooked and raw. We firstly sampled raw avocados with sugar, salt or honey to test the flavour of the avocado, before we moved on to the cooking class. 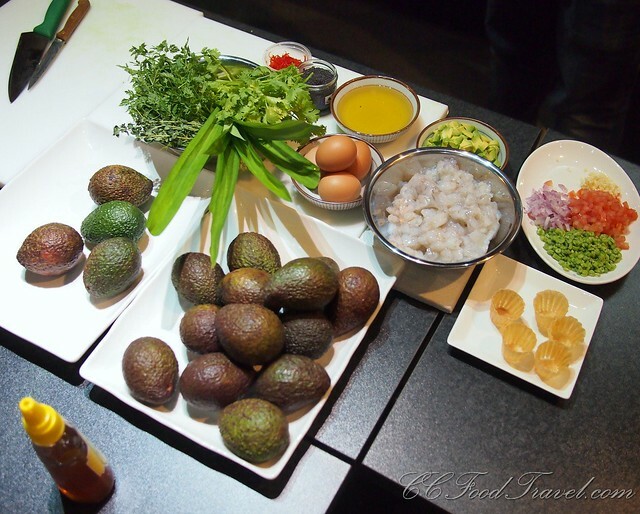 We then had a live demonstration on how to cook the following dishes, utilizing Avocado and putting an Asian spin on it. 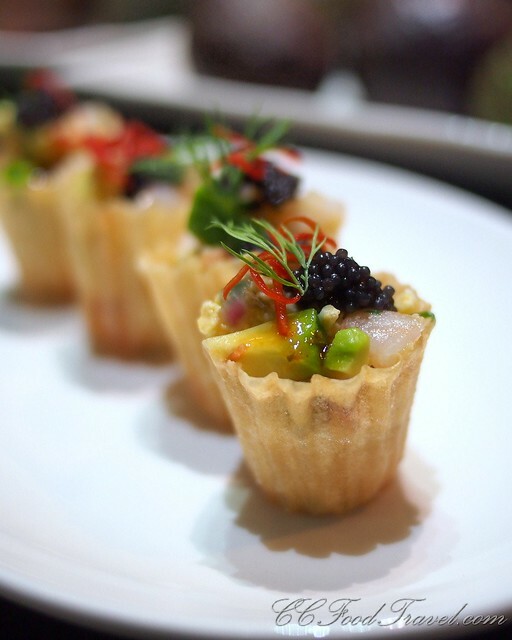 First there was a starter of Avocado Pai Tee, which was essentially avocado, tomato cubes, with shrimp filled in Savoury Chef’s Hat. 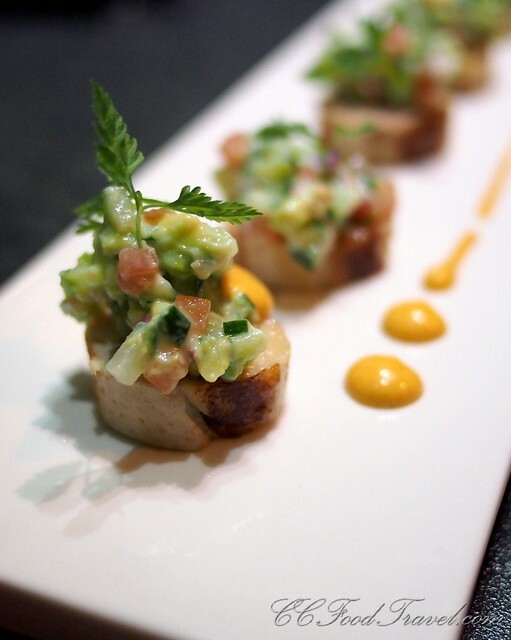 For the mains, we learned how to prepare a Chicken Roulade with Avocado Raita Kachumber Salad and Papadum. 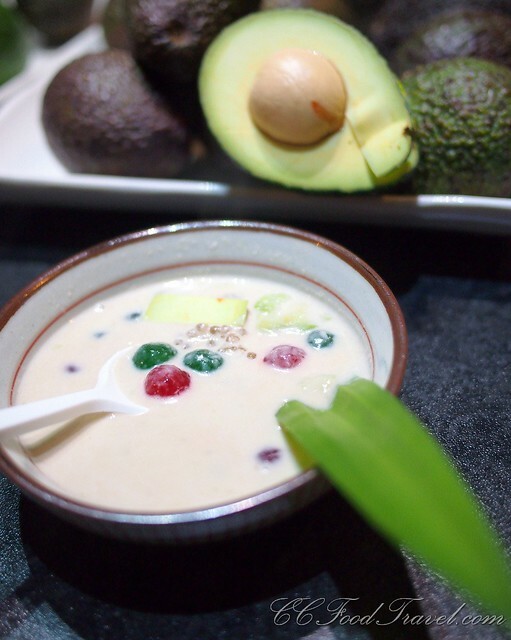 And finally for dessert, we had the Avocado cha – essentially a bubur chacha employing avocado. Voila! Plated and pretty.. and Proud to be serving Asian cuisine with Avocado! The avocado cha that we did not get to try, but looks really pretty! Love avocados! Unfortunately it’s rather expensive in KL so I can’t buy too often. I love it best smashed on toast with lime or lemon, and feta! Yum! nice way of incorporating avocados into main meals..loved the Chicken Roulade with Avocado Raita Kachumber Salad and Papadum. 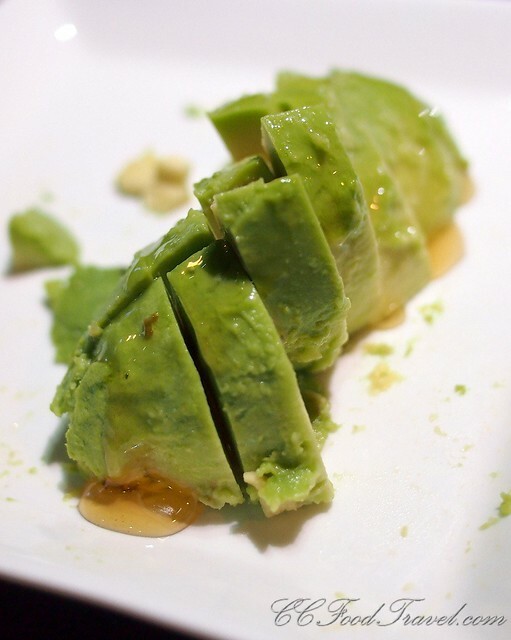 I love chilled avocado desserts… very creamy! Thanks for clearing the misconception up. I heard avocados were bad for you, so I am elated to hear otherwise. I developed a serious addiction to avocados back in South America, they are so good! Now the only problem is that trying to find good avocados in London is a bit tricky. But I hadn’t tried it with honey or maple syrup, need to try that I guess.